The Auditor General for Canada has recently issued a report on CRA’s appeal process, focusing on whether CRA has been efficient in managing income tax objections. It’s important, says the report, because taxpayers have the right to impartial and timely review of their tax returns in order to avoid significant costs in time and resources when they disagree with CRA. The report found that CRA took too long to process income tax objectives, contributing to a large backlog of objectives and was faulty in its measurement of performance results. The report referred to the Agency’s Taxpayer Bill of Rights (see below), which enshrines rights to a formal review, appeal and timely information. Taxpayers will incur high interest costs over a period of years when CRA is inefficient in the appeals process. The report recommended that CRA take all steps necessary to measure and report on the time required to process an objection so that taxpayers can better manage cost-benefit ratios when it comes to decision-making on objections and appeals. CRA has enshrined sixteen basic rights that Canadian taxpayers have in their relationship with their tax department, and five specific commitments to small business. How many of them do you know? How many could you explain in a year-end conversation with a concerned taxpayer? If you need a review, consider the following from CRA, which includes the right that taxpayers may arrange their affairs within the framework of the law to pay only the correct amount of tax, and if there are any taxes in dispute, that no income tax amounts are payable until an impartial review is provided. Reviewing this bill of rights with your clients may just open up some additional tax planning opportunities before this year is out. These rights are an important component of any year-end tax planning discussion, especially with new clients. First, full disclosure between advisor and client can help to determine how to approach a tax problem. Next, deciding how and when to appeal for review is important. Remember that adjustments for errors or omissions can also be made, generally for a period of up to 10 years. That means that the 2006 tax year is still available for adjustment, but only between now and December 31; after that it is closed forever to requests for refunds, or the claiming of losses, RRSP room or other carry-forward amounts. Don’t miss out on the last chance, and only for a few more weeks, to make needed adjustments as far back as 2006. According to a recently released study by Statistics Canada, people who are socially isolated are more likely to experience a poor quality of life, morbidity and mortality. Loss of hearing has a big part to play in creating that feeling of isolation, particularly for women. Tax and financial advisors can directly help address the issues with some year-end tax planning. About 4.5 million or 19% of all adults had some hearing loss in the range associated with normal speech. About 8.4 million or 35% had high-frequency hearing loss, which is often related to aging. But when people reach the ages 70 to 79, 65% experienced loss in the speech frequency range, and an astounding 94% had some high-frequency hearing loss. What is common with seniors who are experiencing this problem, however, is that there is a lot of denial. Only 4%, or fewer than a million people, actually report hearing difficulties despite suffering daily with the affliction. Fully 88% of people with hearing loss don’t use hearing aids. Amongst the reasons for this are the cost of the devices and the belief that they are not needed. But there are other life events that can get in the way, too. The study explains that the baby boom generation is at greater risk of social isolation than previous generations as many live alone, perhaps have never married and have fewer children. And other age-related issues can disrupt their social networks: retirement, changes in social contacts, caregiving duties, other health-related changes, the lack of transportation or ability to drive, the stress of the death of a loved one, and moves to alternative living arrangements. Those changes may, in fact, make it more difficult and improbable for the hearing loss sufferer to seek help. Professional financial advisors can be proactive here. They can bring up the subject of medical expenses and explain that the costs of hearing aids and batteries can be minimized by claiming them on the tax return. In addition, severe hearing impairments that markedly restrict daily living activities may lead to eligibility for the Disability Tax Credit, which is a non-refundable tax credit of $8001 in 2016. To be eligible for the credit, the experience of the sufferer must be such that, even with corrective devices, he or she is unable, or takes an inordinate amount of time, to hear so as to understand another person familiar with the patient, in a quiet setting; and this is the case all or substantially all of the time (at least 90% of the time). If this is an issue for a client or their family member, advisors can suggest that form T2201 be filled out by a doctor to verify the condition. In the future, research and technology can help with the issue. Teletypewriter services, improved telephone features and personal computing devices that facilitate email and texting all can help, says the study. However, the cost factor still remains. Using the available provisions under the tax system as a way to mitigate these costs is important; so are the soft skills an advisor has to recognize the problem and discuss it with clients, with professionalism, guidance and insight. 1. Investors: Donate Securities. Check non-registered portfolios for securities showing accrued but unrealized gains. Capital gains can be avoided entirely when qualifying securities are transferred to your clients’ favorite charity before year end. A receipt for the donation will be issued to offset taxes payable. That’s a win-win and well worth a solid portfolio review and rebalancing. 2. Families: Review Medical Expenses. Now is the time to sort medical receipts and total up unreimbursed expenses. Medical expenses are best claimed on the return of the spouse with the lower income, if that person is taxable. They can also be claimed for the best 12-month period ending in the tax year. That could be December 1, 2015, to November 30, 2016, for example. To top up the family’s claim, make appointments with eye and ear doctors; buy prescriptions and get that visit to the dentist in within your best 12-month period. 3. Political Contributions. Make deductible political contributions before year end. On the federal return, the allowable claim is 75% of the first $400 given—better than the charitable donation claim. The maximum claim is $650, arrived at when you give $1275. Some provinces have additional provincial credits. 4. Bonus Recipients: Smooth out Year-End Income. Asking the payroll department to annualize taxes on bonus payments is one way to keep more of your year-end bonus for Christmas and avoid a marginal tax rate spike. Also, review your TD1 Personal Tax Credit Return (federal and provincial) for 2017 when it’s available in December. Be sure you pay only the correct amount of tax all year long, and not a penny more. 5. Business Vehicle? Buying a car before year end to maximize capital cost allowance deductions may be worthwhile for those who are self-employed or for employed commissioned salespersons who use their car in their work. Employees will need to have employers complete Form T2200 Declaration of Conditions of Employment. Before the purchase, compare whether the leasing option is better after taxes, and finalize the auto log for the year to make sure the right ratio of expenses is claimed where there is a mixed business and personal use of the vehicle. 6. Moving? Not so Fast in Some Cases. The province of residence for tax purposes is where you live on December 31 of the tax year. If moving before year end to a new job or business in a province with a lower tax rate, income for the whole year will be taxed at that lower rate. But you may wish to wait til January if the move takes you to a province with higher marginal rates. Don’t forget to save by claiming moving expenses, too. 7. Seniors: Plan CPP, RRSP or RRIF Withdrawals Carefully. Planning for early retirement by initiating CPP benefits, withdrawing from a RRSP or planning annuity or RRIF payments requires a look at three important opportunities: income splitting with the spouse, withdrawing up to the top of the current marginal tax bracket, and assessing the effect of withdrawals on clawbacks of benefits received from government. 8. Get Organized: Save Money on Tax Prep Fees. Sorting tax receipts before the end of the year may help you claim more deductions and credits and ultimately be audit-proof, and doing that work yourself will help you save money on the fees tax professionals charge to do that for you. Estimating income with more precision can also help you maximize investments in registered accounts like RRSPs, reduce quarterly instalment payments (next one due on December 15) or donate more to your favorite charity. Advisors can maximize their potential to be of valuable service to clients in a meaningful way: helping to arrange their affairs within the framework of the law before year end will help them pay the least amount of taxes possible for the 2016 year. A tax-wise investor has the opportunity to become wealthier over the long run, regardless of the economic cycle, by managing tax erosion. 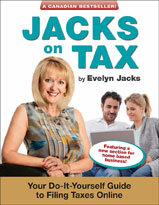 Evelyn Jacks is a best-selling Canadian author of 52 books, including Family Tax Essentials: How to Create a Wealth Purpose with a Tax Strategy. Evelyn is the Founder and President of Knowledge Bureau, a national educational institute focused on Real Wealth Management™. For more information see www.knowledgebureau.com. This is the time of year that high net worth clients are looking for one more tax saving opportunity before year end. Donations of flow-through shares, commonly available from corporations in the oil & gas, mining and renewable energy sectors, will still be allowed. However, many tax and financial advisors will want to brush up on their knowledge of the subject first. Recall that under these arrangements, eligible exploration, development and project start-up expenses may be renounced by the corporation and flowed through to investors, who deduct them on their tax returns. These flow through shares were at one time, deemed to have a cost base of zero, with the result that on later disposition, a capital gain (or loss) is calculated on the full amount of the proceeds. relief from capital gains tax, including tax on the portion of the gain based on the deemed zero cost base. The net result was a very small after-tax cost. This advantageous tax result changed for flow-through share agreements entered into on or after March 22, 2011. Unlike other publicly-traded securities that are donated, the elimination of tax on the capital gain will apply only to a subsequent donation of a share in a particular class, a right to that share or any property that is identical to the share or right. The qualifying amount must exceed an exemption threshold at the time of donation, rather than the entire amount that otherwise would be calculated on the zero cost base. For a single purchase and donation of flow-through shares, this means that the only portion of the gain on donation that would be exempt is the amount by which the fair market value of the donated shares exceeds the original amount paid for those shares. Where some shares are sold and a capital gain reported prior to the donation of shares of the same class, the threshold of the exempt gain is reduced by the capital gain on the sale. Be sure to check out how a flow through share can help reduce this year’s taxes with a Tax Services Specialist before making the investment. Year end is a great time to re-engage clients in conversation about financial decision-making, especially for clients with offshore assets who may need to report some of them on Form T1135 Foreign Income Verification. Who must file Form T1135? Canadian residents who own assets abroad must submit a newly enhanced Form T1135 Foreign Income Verification to CRA to disclose whether they had “specified foreign assets” held during the year. The form is required if the total cost of the properties at any time exceeded $100,000 Canadian, but a simplified reporting method is available if those assets cost less than $250,000. This includes funds held in foreign bank accounts and investment accounts; pre-paid credit cards held outside Canada; shares of non-resident corporations (other than foreign affiliates); certain real property situated outside Canada and other types of foreign property such as intangible property not used in a business. Investment Accounts: If a taxpayer holds a mutual fund that is resident in Canada but which owns significant foreign equity in it, the mutual fund itself must report the foreign income to the taxpayer. Self-reporting is required only if no slips are issued. Brokerage Accounts: T1135 filing is required on the pro-rata portion of investments held in foreign accounts. It is important to confirm whether or not investments or income is received, on an investment-by-investment basis. Corporations holding such investments must also file the form. What’s Not Reportable: Excluded from the foreign disclosure requirements are personal-use properties, like a vacation home used primarily (50% of the time or more) for personal use; property used exclusively in an active business; property in an RRSP, RRIF or a registered pension plan; mutual funds that include foreign investments if these are reported to the taxpayer on a T Slip; property of immigrants (those who file a return for the first time in Canada) and shares in a foreign affiliate. Auditing Time Has Been Expanded: The reassessment period for T1135 reporting has been extended from three years to six years if the taxpayer failed to report income from a specified foreign property, if Form T1135 was not filed on time, or a specified foreign property was not identified properly on the form. Failure to Comply Is Expensive: File the T1135 form by the regular filing due dates—April 30 for individuals or June 15 for owners of unincorporated business—whether or not you file a T1 tax return. The penalties for failure to file are very expensive: $25 a day for up to 100 days (yes, that’s $2500), plus gross-negligence penalties of $500 a month for up to 24 months. In the case of tax evasion, the greater of $24,000 and 5% of the cost of the property can be charged. A New Snitch Line Is Open: CRA has opened a “snitch line” for you to earn rewards if you report international tax evaders. You could earn up to 15% of the additional taxes collected due to your tattle, if $100,000 or more is collected. And yes, the fee is taxable in the year received.